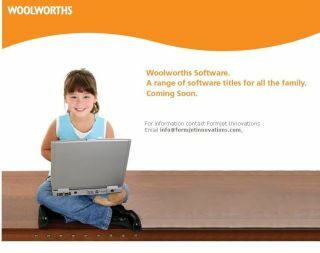 Woolworths will soon be launching its own range of software titles for home users. The retailer has teamed up with software developer Formjet , which is also behind Tesco's range of software launched last year. Woolworths is due to launch seven software titles which will go on sale in its 160 stores as well as the Woolworth catalogue from April. The software range will include two anti-virus products, an internet security package, a photo-editing tool, a back-up tool, and a home office suite. Woolworths will also offer a product called Braintastic - which Formjet describes as its "first foray into the edutainment market". "This new range of utility software products will allow our customers a low entry point into an expanding home PC software market," said Woolworths' trading manager Gerry Berkley.